Let this 4th day of July 2014 be a historic beginning for American Muslims, where they will put together a clear agenda to participate and contribute towards the well being of America. God created an integrated and interconnected world in harmony and balance, and all he wants from us is to maintain that balance. That is simply the God’s will. 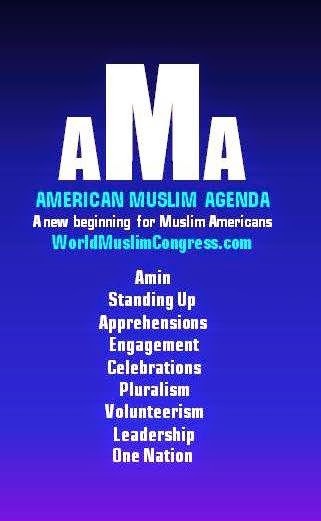 The World Muslim Congress, a twelve year old think tank, has worked on presenting an “initial agenda” for Muslims in America based on Quran and Prophet Muhammad’s (pbuh) guidance. We hope this will spur debates, followed by discussions and emergence of a Muslim agenda within the framework of American Agenda. Due to the length of the plan, it is presented in 3 installments.